There’s something to be said about taking shots in the bathroom. Hmm… Before you question it, we’ll tell you why it’s a good thing. When Visit Syracuse first introduced Syracuse reFRESHED, an integrated marketing campaign to highlight significant destination enhancements of area hotels and meeting spaces to potential meeting planners attending trade shows, no one was quite sure what to expect. The campaign included “fresh breath” stations in the restrooms of convention centers throughout the country, where attendees could find Listerine mouthwash, sponsored by Visit Syracuse (at the time, Syracuse Convention & Visitors Bureau). When they took shots of Listerine, they were encouraged to scan a QR code that led to the website, www.syracuserefreshed.com. The website highlighted renovated hotels, meeting spaces, attractions - many reasons why Syracuse was a reFRESHED destination. Today, Visit Syracuse is pleased to announce that the campaign continues to have success showing off the highlights of the area and is still very well received. With the upcoming opening of the Marriott Syracuse Downtown, the recent openings of the Lakewood Amphitheater, the shopping and entertainment options at Destiny USA and the continuously evolving diverse array of restaurants and breweries, Syracuse continues to be reFRESHED. The campaign has been updated to include the destination brand, Syracuse. Do Your Thing; which encourages visitors to pursue their passions and do what makes them happy. 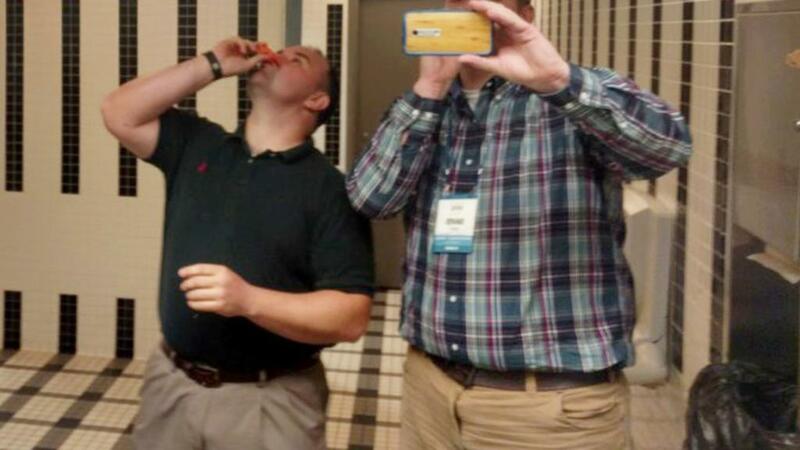 One way the campaign helps to share the Do Your Thing experience is by prompting attendees to post their own bathroom “shots” onto their own social media sites. Attendees of the 2015 Rejuvenate Marketplace, an annual education conference for faith-based meeting planners, did just that. They helped spread the good word and had a blast doing it (see photo provided).